Recently, we’ve shown you how quickly you can stand up an HTTPS endpoint on the internet using Auth0 Webtasks with the Webtasks sandbox webtask.io. Shockingly, it takes less than a minute. The ease with which you can deploy that endpoint and glue together the services you use like Github and Slack make Webtask.io very powerful. However, if you create a webtask that sends messages to Slack channels when triggered by Github, you wouldn’t want anyone but Github to be able to invoke your webtask. In this post, I will show you the simplest possible way to secure your webtasks using a shared secret for authorization. To get started let’s create a new webtask using the Webtask.io Editor. Click on this link to launch the editor at https://webtask.io/make. Login with the identity provider of your choice. Click the Create a new one link located in the middle of the page. In the Create New modal select the Create empty option. For the rest of this post, we will be using the editor exclusively. So let’s take a quick tour of the editor features we will be using. Just above the default code are a series of icons. To the left is the wrench icon which is a drop-down menu containing several tools we can use to configure our webtask. To the right are save, logs and runner icons. Let’s open a few tools to help us develop our webtask. This opens the logs panel, which will give us real time logs for our webtask. We can use console.log to write our own messages to this panel. This opens the runer panel, which will allow us to execute our webtask directly from the editor. Give it a try, click the Run button located in the runner panel. Once complete the runner will display the status of the execution as well as the response sent by the webtask execution. You will also see a log entry added to the logs panel showing the execution. Finally, in the footer of the editor is displayed the url for the webtask along with a copy icon. Paste it in to a new browser window. As you can see, the webtask is completely unsecured and available to anyone with the URL. Next, let’s add a bit of logic to ensure only authorized callers are able to execute the webtask by checking the query string for a secret. If the secret is correct, we will allow execution of the webtask. If not we will throw an error. We can test this logic using the runner panel. The runner is currently displaying the response from our previous test. So we need to reset it by clicking the gear icon located near the top. Notice that the runner panel maintains a history so you can always look at previous run settings. Click the gear icon in the runner panel, if needed. In the Url Params section, add secret and open-sesame for the key and value. Note: Url Params are applied to the execution of the webtask as query string parameters. The runner displays the same success result we saw before. Let’s modify the secret value and run the webtask again. Click the gear icon in the runner panel. Modify the secret value to wrong-key. The runner now displays an HTTP status of 400 and a “Not Authorized” error object is displayed in the response section. The webtask is working as expected, but it would be nice if it would return an HTTP 403 status and not include a body when the request is not authorized. This allows client libraries to handle the authorization error gracefully. Currently, the webtask uses a programming model in which the code is invoked with a context object and a callback function. Simply by returning your own object via the callback, you were able to send back an HTTP 200 response with the object serialized as json. This programming model is simple and intuitive to use. To send an HTTP 403 response you need access to more of the functionality of HTTP. 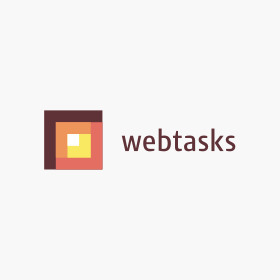 Webtasks offer an alternative raw HTTP programming model that gives you direct access to the request and response objects used by Node.js. Note: You have a lot more flexibility now, but it is your code’s responsibility to correctly write the status code, headers, and content directly to the response stream. The code even has to stringify the secured response correctly! Use the runner panel to verify the changes work as expected. You should now see an HTTP 403 if the shared key is incorrect. Only callers that have access to the secret can invoke the webtask. Since all webtasks are hosted behind an HTTPS endpoint, the SSL/TSL connection ensures that the query-string is encrypted and so sending our secret over the wire is reasonably secure. Generally speaking, it is a better practice to pass secrets in headers instead of using the query string. This makes it less likely that your secrets will be logged along the way. In part 2 of this series, I’ll show you an example of accomplishing this. Currently, the shared key is hardcoded in your webtask code. That means you have to make sure to keep your code just as secure as the webtask itself. Keeping secrets in code is an awful idea, and it soon becomes untenable with even the simplest of projects. It’s quite common to write code that contains secrets, whether these are credentials for connecting to a database, or API keys for integrating with a third-party service. Secrets can be easily defined in the editor at any time. They are kept in an encrypted state separate from the code in the webtask infrastructure. The secrets decrypted and provided to the code via the context object only during execution. Update the code to retrieve the shared secret from the context object. You need to identify the secret via a key name, so use the key auth-secret but any key name would suffice. Now store the shared secret key using the secrets panel. Select the Secrets option from the dropdown menu. Click the Add Secret button. Set the key to auth-secret. Set the value to open-sesame. If you re-run the test case using the runner, you’ll see the same behavior as before. However, now you aren’t hard-coding the secret in your webtask code, so you don’t have to worry about keeping out webtask code itself secret from other developers. 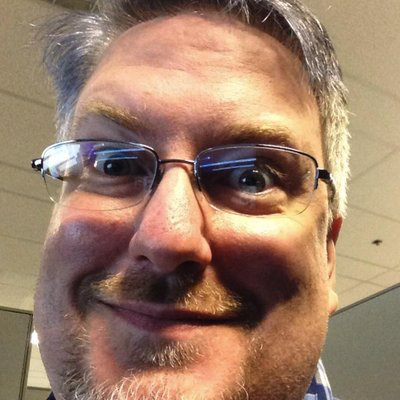 You have now successfully secured your Webtask with a shared secret. Wasn’t that easy? So, consider where you are now. You’ve made some great strides in your attempt to secure your webtask. You’re using a shared secret that only authorized callers should know. And that secret isn’t hard-coded into your webtask code, so you don’t have to worry about other developers having access to your code. But look at the webtask code your currently have. The majority of the logic is dealing with the more sophisticated programming model needed to properly handle authorization. The inital unsecured webtask was three lines of code. Sure, the short and sweet code wasn’t secure, but still nobody would deny that it would be nice to use the simpler programming model style webtask and yet still have the same authorization mechanism. Well, it turns out we can write short and sweet webtasks and still have robust authorization. 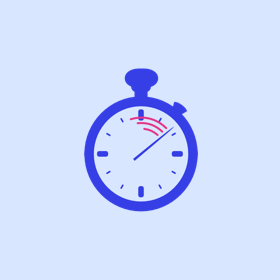 And in the next post I’ll show you how it’s done by using Webtasks Middleware. We will also migrate from using query string based tokens to authorization headers.